New Suffolk students have been participating in a variety of cultural holiday activities this week! 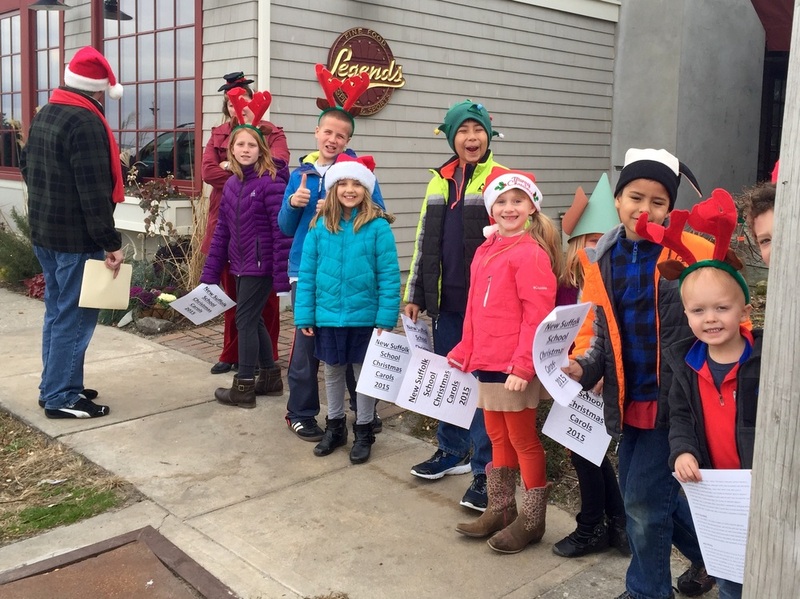 On Monday, Mr. Verity led the way as we walked down to Legend's and New Suffolk Post Office to sing carols! We are always grateful that Legend's and the Post Office welcome us! 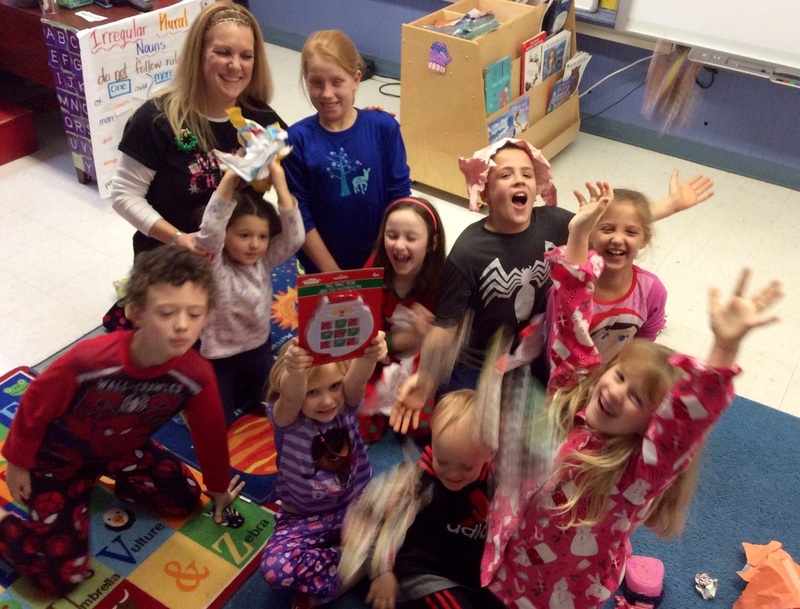 Mrs. Ruschin and Mrs. Mauro invited the primary students' families into he their classroom to have a gingerbread house making party on Tuesday. 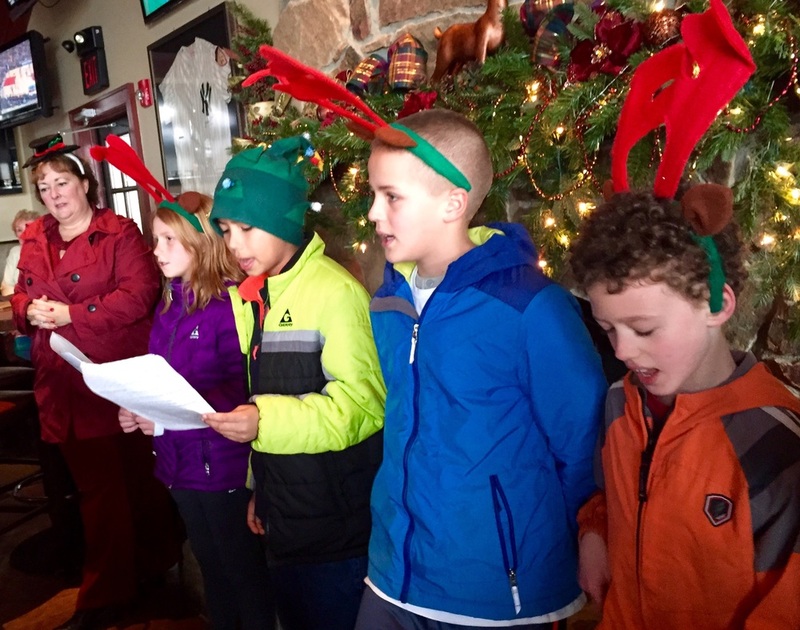 Check out Mrs. Ruschin's blog for photos! Today was quite the day! Today is known as "PJs and Pancakes" Day! The entire school dresses in their pjs, and we have a pancake lunch! 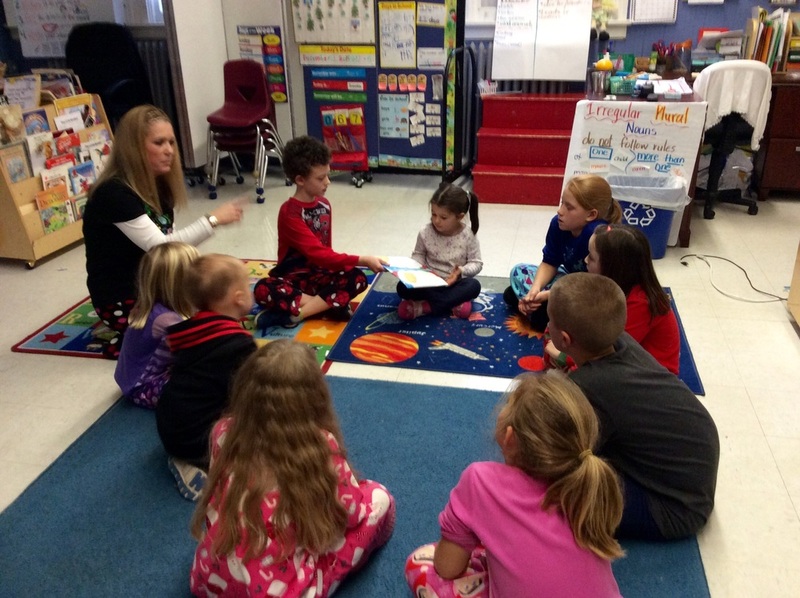 The students started out listening to The Polar Express read by our fantastic Board of Education president, Mr. Dill, who even wore his special Jammie's! Then, the students enjoyed some hot cocoa and marshmallows while watching The Polar Express movie! Next, the children welcomed Mrs. Dailey and Mrs. Cooper, from the Enrichment Fun, and they made their town-famous pancakes! After lunch, the students had a fiesta with Mrs. Boutcher! 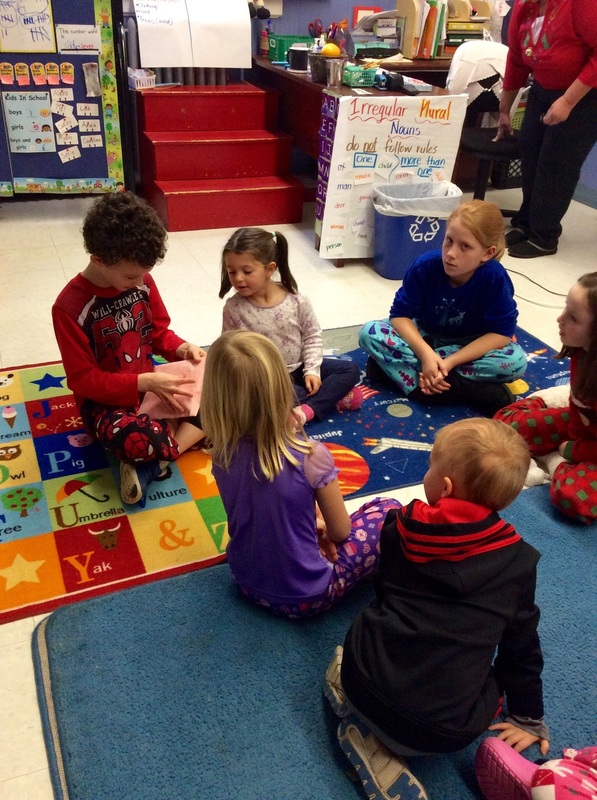 As a Colombian native, Mrs. Boutcher shared her cultural traditions with everyone. She served up homemade Chocolate Caliente, pasteles with dulce de leche, and buñuelos! Mmmmm! 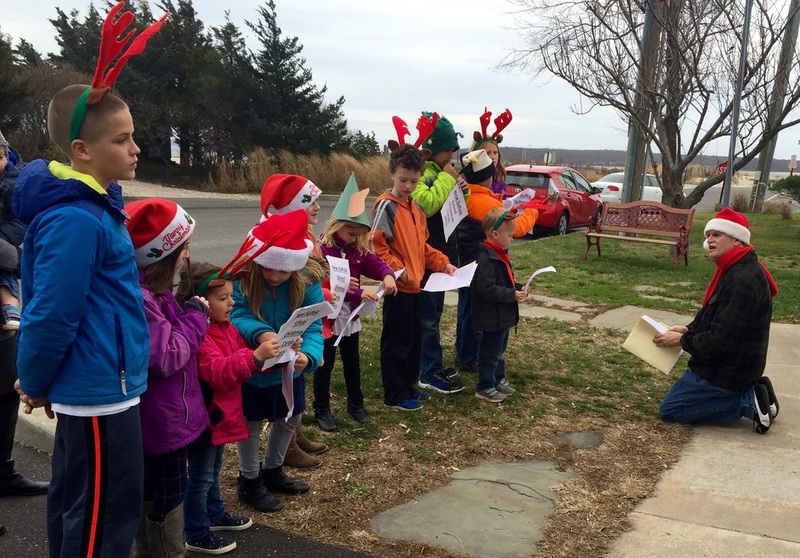 After Spanish class, Mrs. Ruschin shared one of her favorite holiday traditions: making reindeer food! Finally, Mrs. Ruschin invited us all into her classroom to play a game her mother always played, an English game called "Pass the Parcel". After wrapping a present in ELEVEN layers of wrapping paper, we played a version of hot potato, and each time the music stopped, a student unwrapped a layer. At the end, was a fun surprise! Clay Warriors Found at New Suffolk School?